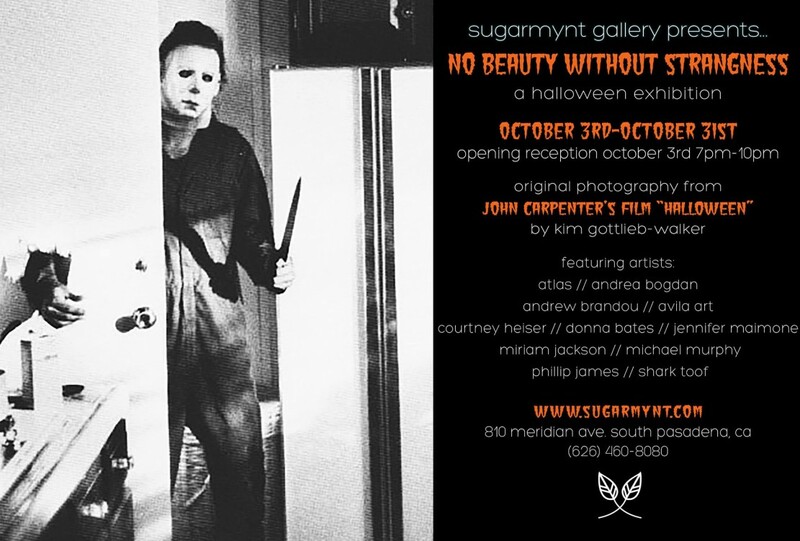 SugarMynt Gallery in South Pasadena is currently presenting its third show, No Beauty Without Strangeness: A Halloween Exhibition. 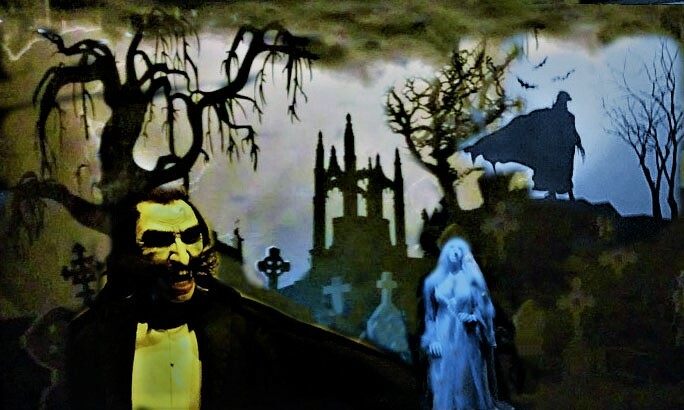 Besides "artwork that embraces the beauty of the eccentric, irregular and obscene," the exhibition includes original prints from John Carpenter's Halloween (1978) by Kim Gottlieb-Walker, the onset photographer. 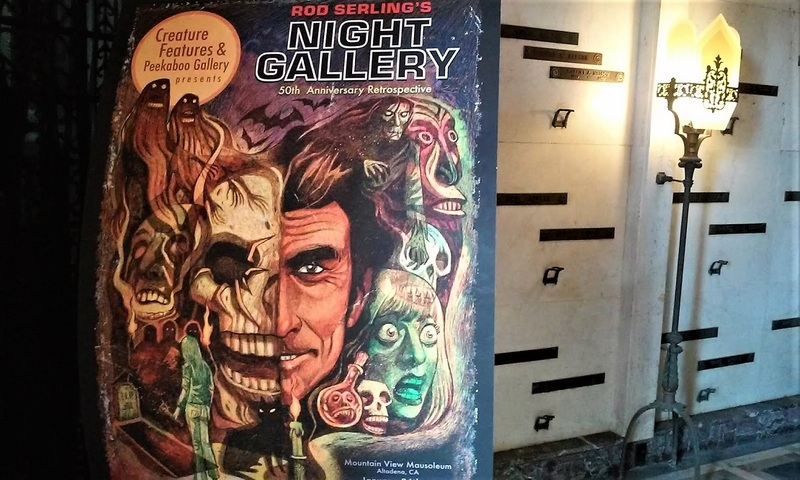 Appropriately enough, exteriors for Halloween were filmed on the street where SugarMynt Gallery now resides, so after perusing the artwork you can take a walk by the original Michael Myers house. No Beauty Without Strangeness: A Halloween Exhibition continues through October 31. "SugarMynt Gallery's address is 810 Meridian Avenue, South Pasadena. 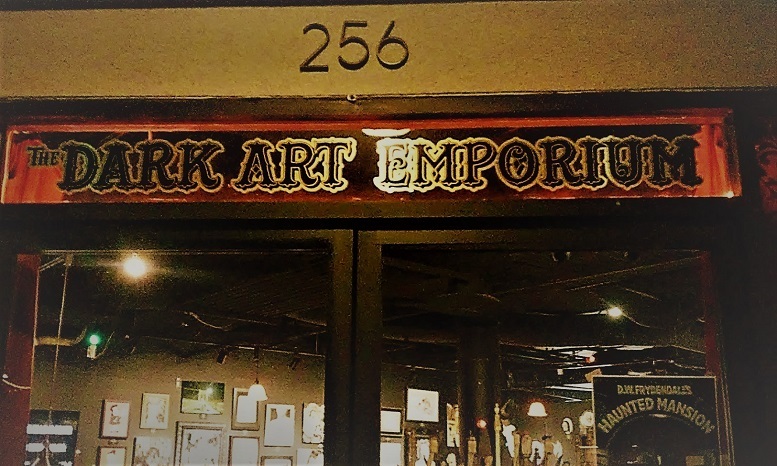 Hours are 2-8pm Monday-Thursday ; 2-10pm Fridays & Saturdays; and 10am-3pm on Sundays. For more information call (626) 460-8080 or www.sugarmynt.com. Photo at top by Rebecca Orlandini. See more here.